Unzip the file to your drive and only put ONE in the folder. 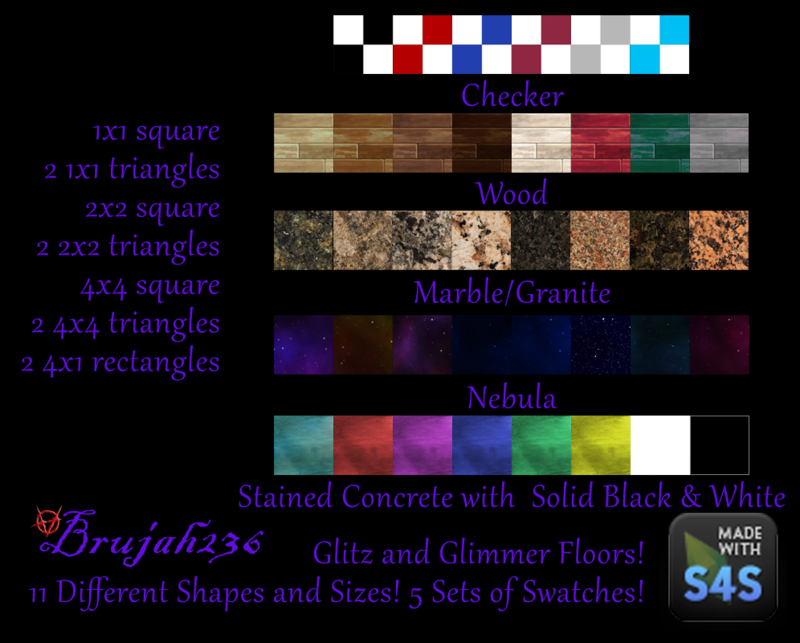 You want your floors to sparkle and now you can! Mirror like reflection, glossy and pristine! The Glitz and Glimmer Floor Company has brought you multiple sizes and shapes of floor coverings to make your rooms SHINE! 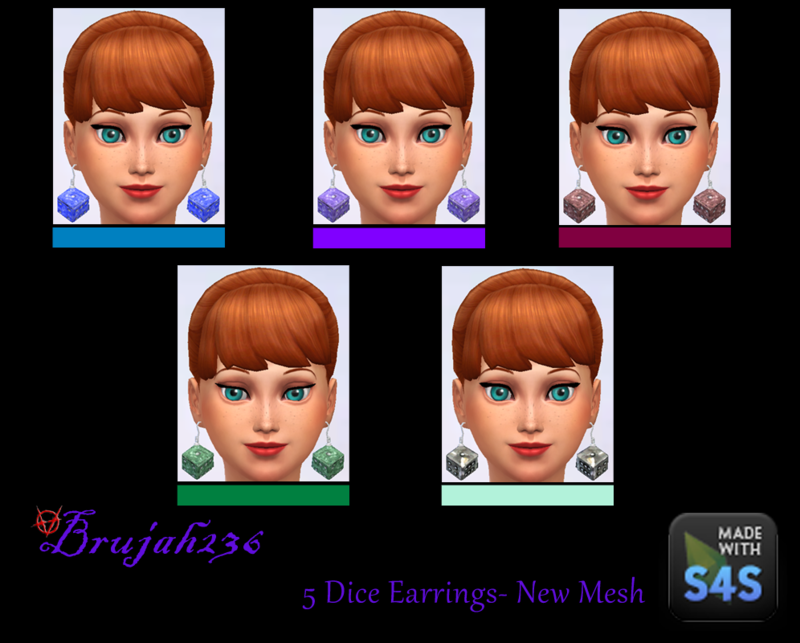 Since TS4 doesn't have CAST I have created several sets of textures. These are not recolorable as is. If you are looking for another type of texture please ask me to recolor it in a PM. 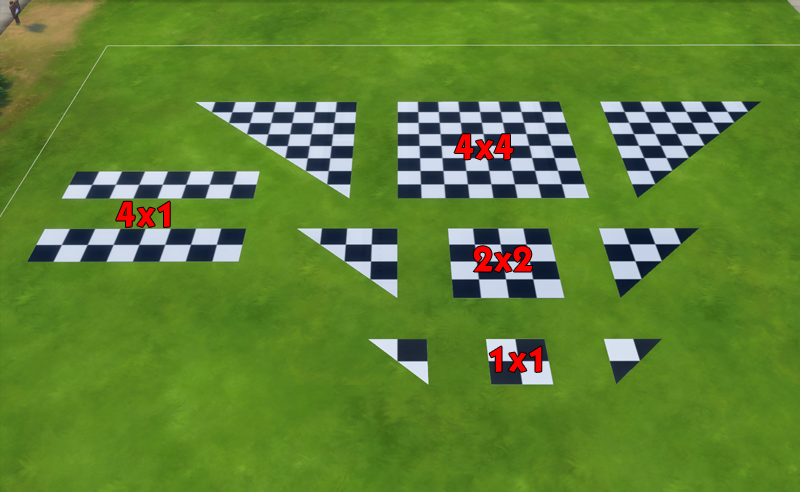 1: The rug shader causes rugs to disappear when placed on/near these. I hope that someone can fix the rug shader soon. 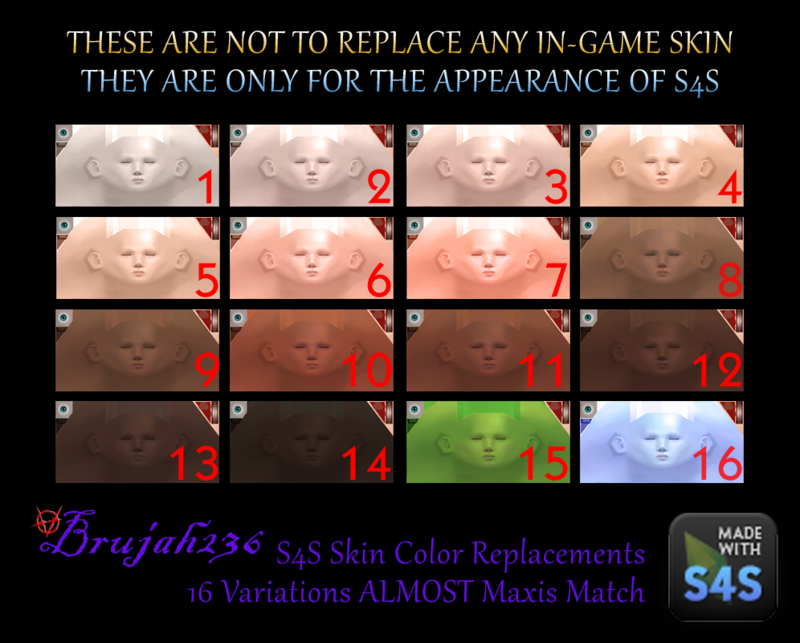 I do know of a work-around but it is a tedious job since there are 47 rugs in the base game alone each with several swatches and each swatch reference would need to have it's shader changed. 2: I have noticed that on some lots in certain places they appear to have a strange reflection when placed on ground level. 3: These do NOT show the flooring underneath. 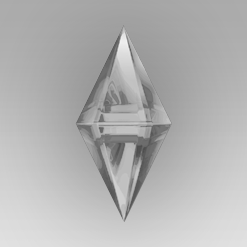 They are NOT transparent. I suggest using the §0 flooring to save your household money. It's about time I post some more creations. 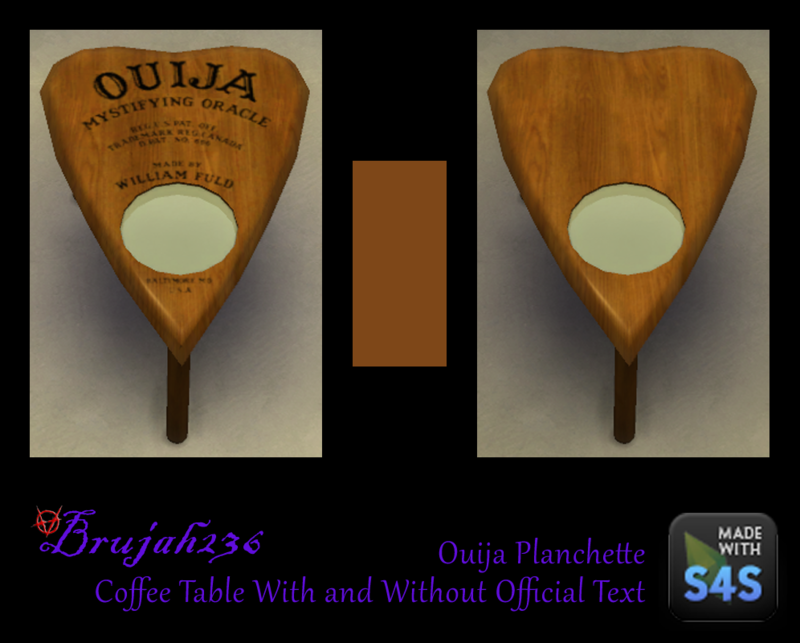 Here I have created a Quija board rug and Planchette table in homage to our ever fabulous coder andrew . 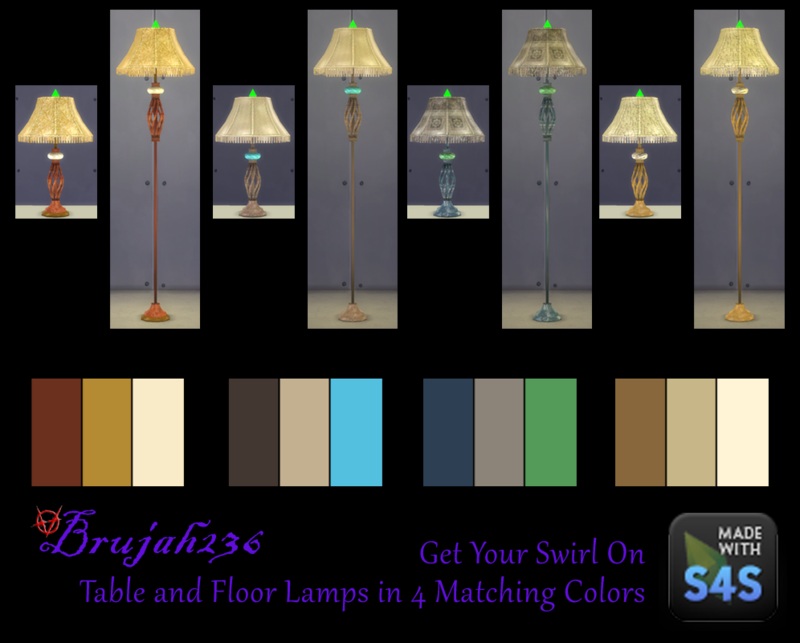 These lamps were created by me for TS3 and I decided to convert them to TS4. The idea for them came from lamps I have in my home. 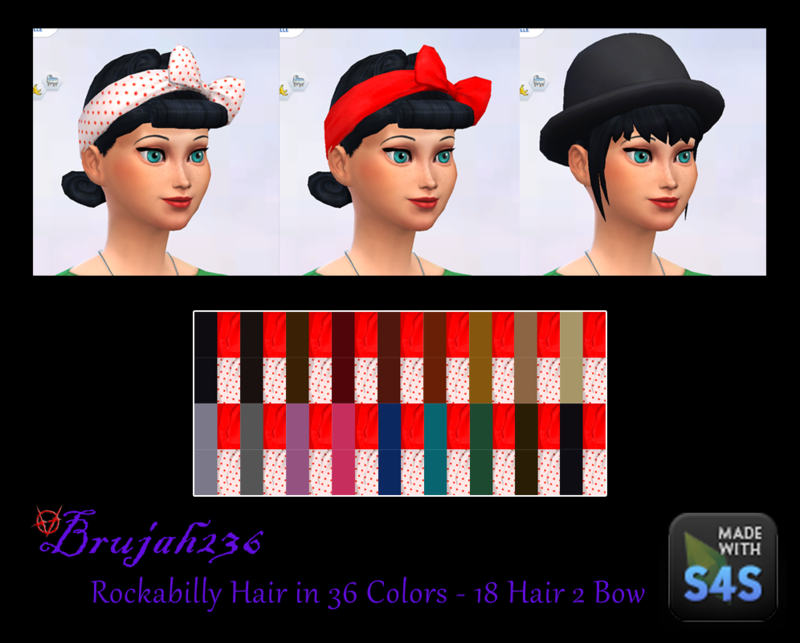 Brand New Rock-a-billy Hair Mesh! 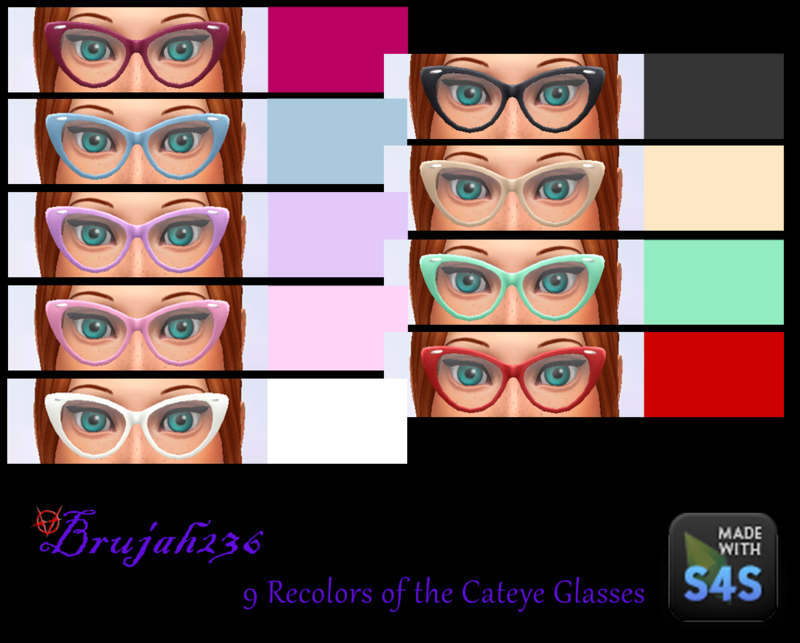 36 colors! 18 Hair colors with 2 bow colors! Includes hat cut! Cherries Halter Swimsuit in 12 Colors! Tipsy Elves Gingerbread Nightmare Ugly Sweater! Thank you for this tool! Thanks! Each time I create something I will be extending my original post. Watch for new content and a new video tutorial soon. 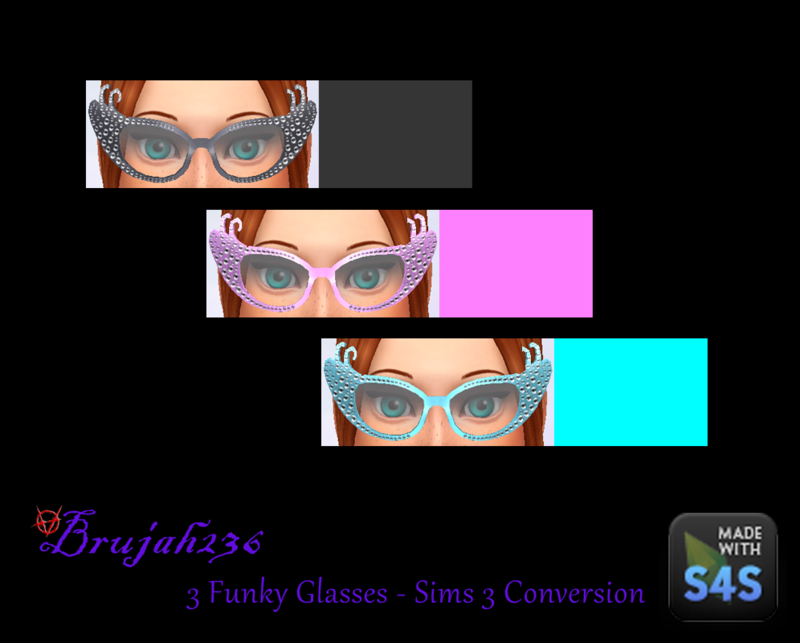 Sims 3 funky glasses conversion updated to include custom swatch. 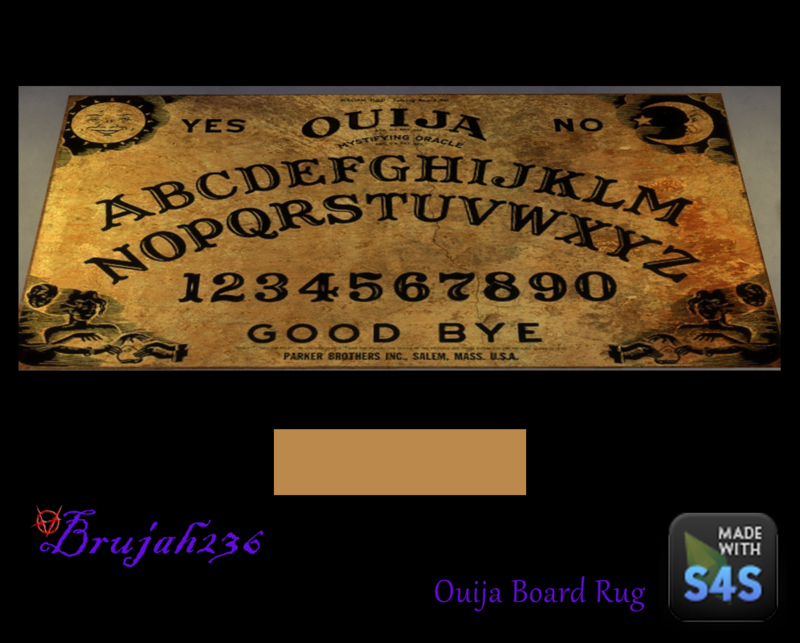 Watch for my tutorial soon. MLP T-Shirts updated to include custom swatch. 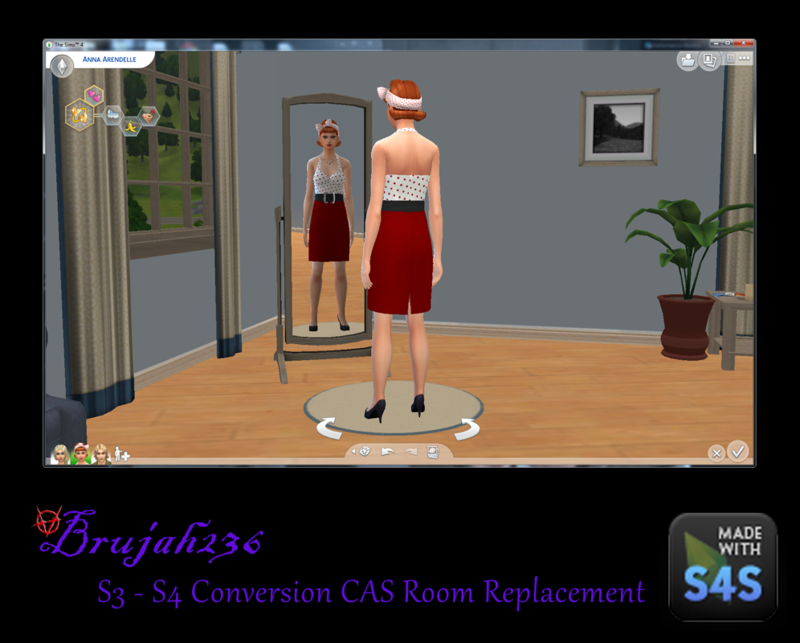 Tutorial for adding custom swatch through S4PE is now available HERE (Outdated since this can now be done through Sims 4 Studio). They are so cute! Thank You! MLP T-shirts now available for kids! 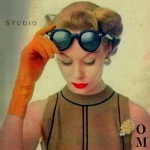 Thank for the share on the Rockabily hair. I think my Brandi Broke can rock that. Thanks lewisb! 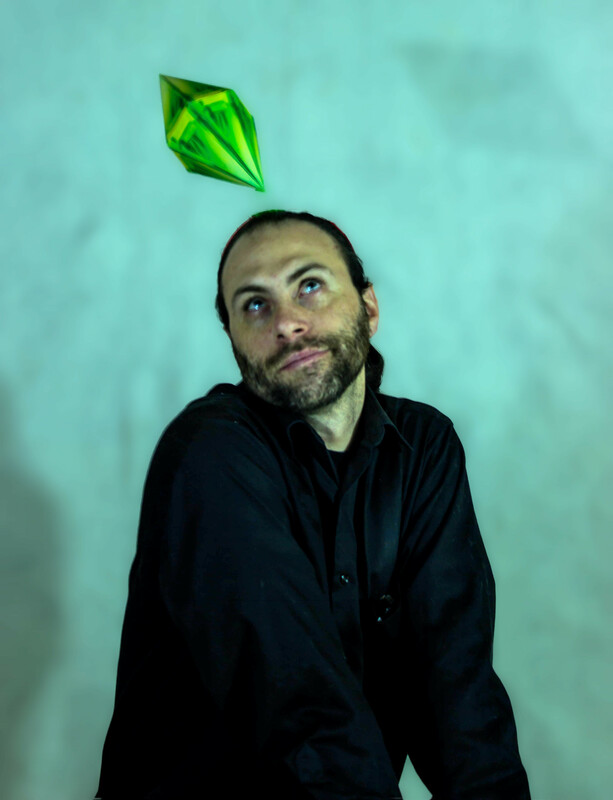 I'd love to see a screenie. I'm working on some other Rockabilly stuff too and will post when completed. Your rock-a-billy hair mesh are cool! Cherries Halter Swimsuit - 12 Colors!